– Jeff Rense, radio host at Rense radio. What do I mean by “add life to your life”? A good question to ask first, is “did we lose life in our life?” My answer is yes, without a doubt – in time, all of us lose some vitality, or life force in our lives. Fundamentally, substance abuse – including too much food, the wrong foods, not just alcohol, tobacco, drugs or pharmaceuticals, carrying extra pounds, lack of nutritionally-beneficial foods, lack of fitness, and poor detoxing are the major culprits that will significantly increase our declining health and loss of vitality in your life. Over time, as these neglects and abuses manifest as symptoms and diseases, most people will resort to a drug or a supplement for each symptom; Lipitor for cholesterol, antioxidant for immune system, calcium for osteoporosis, saw palmetto for prostate, vitamin E for cardio, vitamin D or C for cancer, etc. The medication and supplementation theories abound and there seems to be no end to the marketing of new ones. Yet statistically over the last seven decades, even as new drugs and supplements are introduced, Americans have gone on getting sicker and sicker. 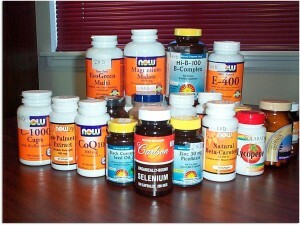 Will pharmaceuticals and supplements add life to your life? Absolutely not – factually, their side effects and toxicity will contribute to the loss of vitality and years from your life. To not sound too extremist, yes, there are exceptions when it may be appropriate to supplement or medicate, but the fact is that the ever growing multi-billion-dollar drug and supplement industry has not made a dent in the epidemic of diseases in America. While drugs may alleviate the symptoms and not solve the causes, with most supplements there is no substantiated evidence that supports their proposed benefits other than marketing claims. Furthermore, the approach in supplementation with isolates (vitamins, minerals, antioxidants, etc.) 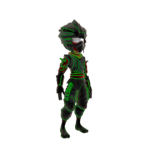 is also flawed right off the bat. For the most part, it mimics the allopathic pharmaceutical model when treating “one” symptom with “one” medicine/supplement, and neglects to address the root cause of the symptom. 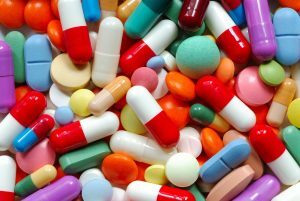 In my practice I see many people taking several pharmaceuticals and supplements that do not resolve their issues, and yet they continue taking them, often for decades. What are some steps to regain and increase your vitality? For most clients that I get a chance to talk with, I always first suggest that pharmaceuticals and/or supplements may not be required if a person is willing to stop the abuse of the wrong foods, eat a proper diet, lose the extra pounds, and commit to remain fit. 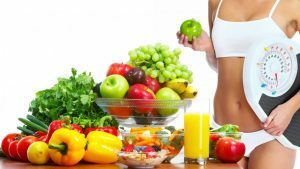 It is well known by everyone in conventional and alternative medicine that applying these basic and simple dietary and lifestyle changes would prevent and/or alleviate most symptoms and diseases and add life to your life. I find that approach a “health” of a lot simpler then reverting to drugs or supplements that don’t work, don’t you think so? How will BAC add life to your life? People want to know what’s in BAC, what will it do for them, they want to know if they need to take another Omega 3, or whether they can stop taking other supplements. In order to help you understand BAC Vs a supplement, I will start with sharing a sample of a frequently asked question about BAC. Let me elaborate on the comment by his Naturopath, “she thought it was good but that the nutrients were present only in very low doses”. Since it is true that BAC does NOT meet some of the mainstream medical Recommended Daily Intakes (RDI), I give her an A. But the comparison(s) ends right here, because BAC is not a supplement! Let me remind you that BAC is a whole food. And, like most life-giving whole foods, BAC contains thousands of different nutrients in trace amounts. Additionally, BAC is the most complete whole food of all – unlike any other whole food (or supplement), BAC contains some of just about all known life-giving nutrients required for health and well-being. Some occur in tiny amounts that would not be sufficient for the day, some that would be enough for the day, some that are more than the daily requirement, while some are a complete “nutritional surprise” to the body – nutrients like phycocyanin that you cannot find in any other food on earth. BAC is not a supplement, what is it? Truly, BAC is a whole food and when incorporated in your daily regimen, BAC becomes a complement to your diet. Thus, like carrots or celery, BAC is not intended to meet any one specific RDI. But unlike regular foods, BAC, due to its extra-ordinary efficiency, is consumed as a trigger food that will contribute to enhance and increase the life-giving benefits of your regular foods. The first premise of consuming BAC is that whole foods (not isolate molecules) should be the source of all nutrients required for our cells to generate the energy required for good health. Unlike with allopathic models suggesting that taking mega doses of a vitamin, a mineral, or an antioxidant will alleviate a deficiency, consuming a small amount of BAC a few times per day addresses the root of the symptoms. BAC is undeniably the most complete whole food on earth, the culmination in cellular nutrition. Consuming BAC will literally contribute to greater energy and life in every cell of your body. Specifically, due to its makeup, BAC has extra-ordinary efficiencies when crossing the blood-brain barrier to nourish cells of hypothalamus. Somewhat like the conductor of a large philharmonic orchestra, the hypothalamus is our mission critical brain organ that regulates just about every metabolism, glands, and organs in your body. It is with this new energy and increased performance of the hypothalamus, coined “awakening the genius within” by Dr. Michael Kiriac, PhD that results in more life in your life. 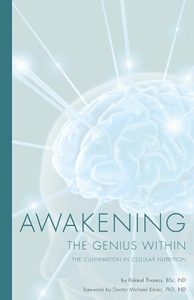 I have written extensively about this and I invite you to become familiar with the details of the science and research which is documented in the book Awakening the Genius Within found online at www.awakeningthegeniuswithin.com. In 1980, following knee surgery, my physician recommended that I take a supplement of vitamin E to help with healing and to prevent arthritis. Over the next two decades, I fell for various supplementation theories in the hope of helping my knee and my lower back, to stop gaining weight, to prevent cardiac attack, to prevent prostate cancer, to prevent the flu or a cold, etc. – you get the picture. By the time I met Dr. Michael Kiriac, PhD in 1999, I was taking 23 different supplements and still suffering: arthritis in my knee, a sore back, repeated colds and flus, weight-gain, etc. Dr. Kiriac calmly listened to my story, said very little, and handed me a bottle of BAC to try. I started taking some capsules that day, and that night I knew there was something special in those capsules. Over the next days, I was amazed with my results with just this one “complement” to my diet, and within three weeks I stopped taking all my old supplements and I have never looked back. Over the last 18 years of sharing BAC, listening to your stories, answering questions about your health challenges, about the medications/supplements that you are taking, and about BAC, I have come to realize the immense gift that BAC is in my life and in the lives of many of you as well. Increasingly, when asked technical questions, I tend to divert from the technical topic and explain instead how consuming BAC will add life to your life – possibly even in terms of years. Literally, when introducing BAC in your life, your energy, your step, your digestion, your sleep, your strength, even your mood and spirit will change for the better. Frequently, this is felt within hours of taking your first capsules, or certainly noticed overnight. The best part is that this can be clinically observed within days with certain hormones, blood pressure, even in your strength, and quite often within hours for blood sugar, and certain hormone levels. In summary, a resounding Yes – you will add life to your life with BAC! Consuming this extra-ordinary life-giving superfood is way more beneficial and much simpler than taking a whole drawerful of drugs and supplements. What a relief! And as always, for even greater health, I suggest you also commit to a healthy diet and lifestyle. Treat your body as a temple and keep it pure!